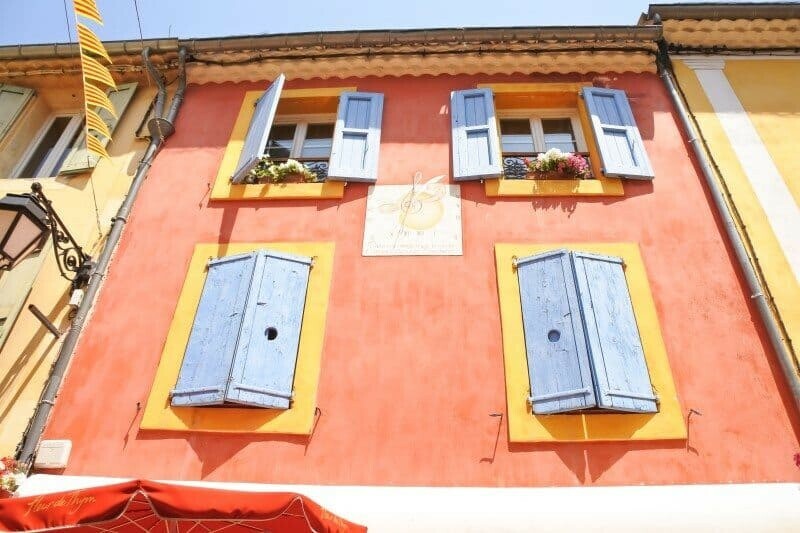 A Photographer’s Guide to the most photogenic villages to visit in Provence! 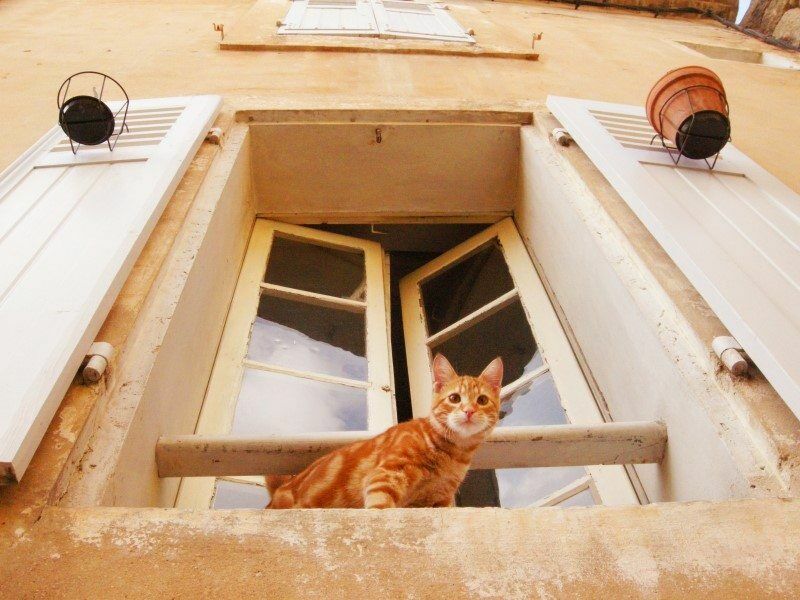 The Provence region of France is like a gourmet platter of all things photogenic. 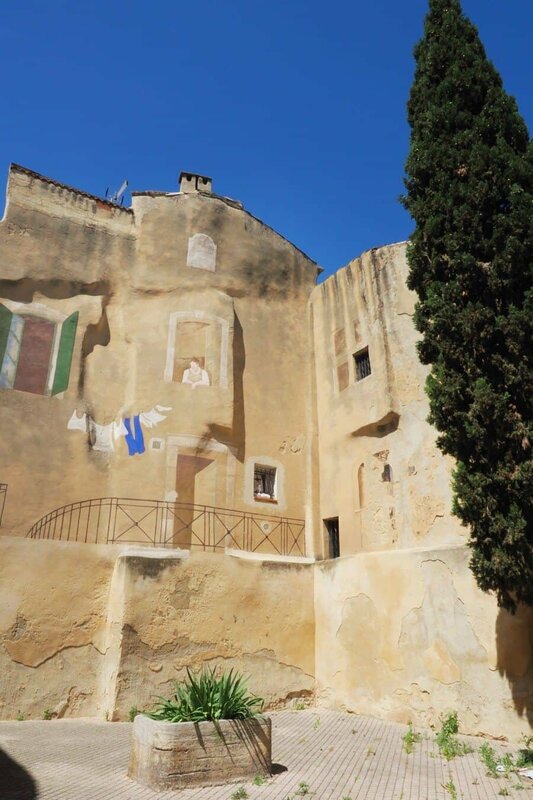 Character filled medieval villages blend with colourful fields of flowers and olive trees. You can wake up by the Mediterranean Sea, meander through historic stone paved streets and sip local wines as you photograph the sun setting over mountain ranges. For a trip to Provence be sure to take more memory cards than you think you’ll need. 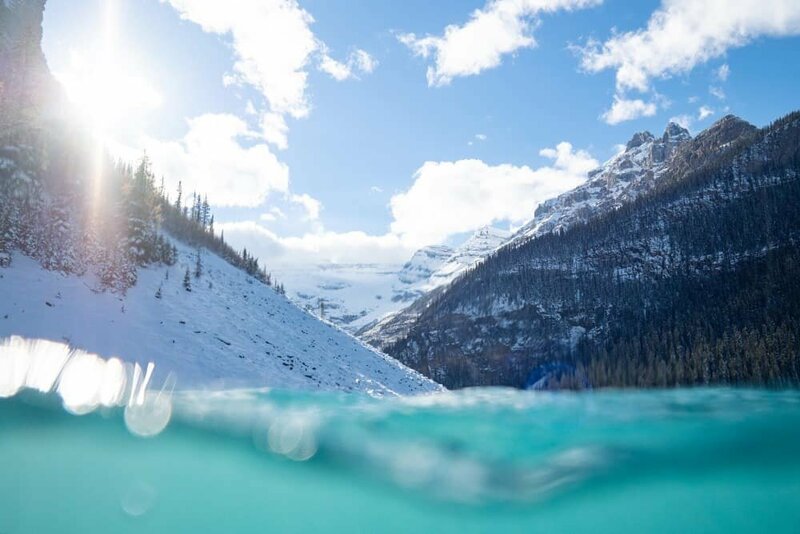 Photo opportunities are endless; whether you’re into landscapes, street scenes, adventure photography or coastal coves. After a year of living in Aix en Provence, I’ve put together a guide to the most beautiful villages to photograph in the Provence region. Below you’ll find a little description of each village, a map of where to find them and some example images of what you can expect to see. How about we get started with a map of Provence…click to open in Google and get directions. 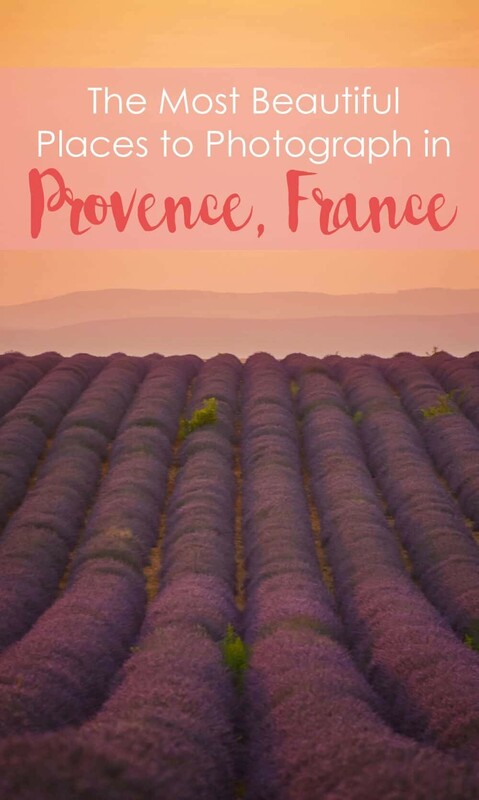 UPDATE: For a detailed PDF guide to the lavender fields + Provence region, take a peek at my brand new 48page eBOOK available now. 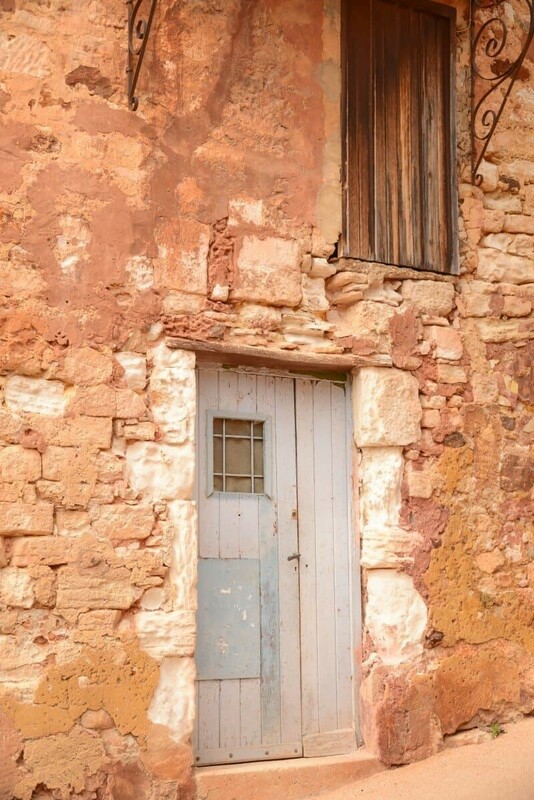 ‘A Photographer’s Guide to the Lavender Fields + Photogenic Villages of Provence’…take a peek! 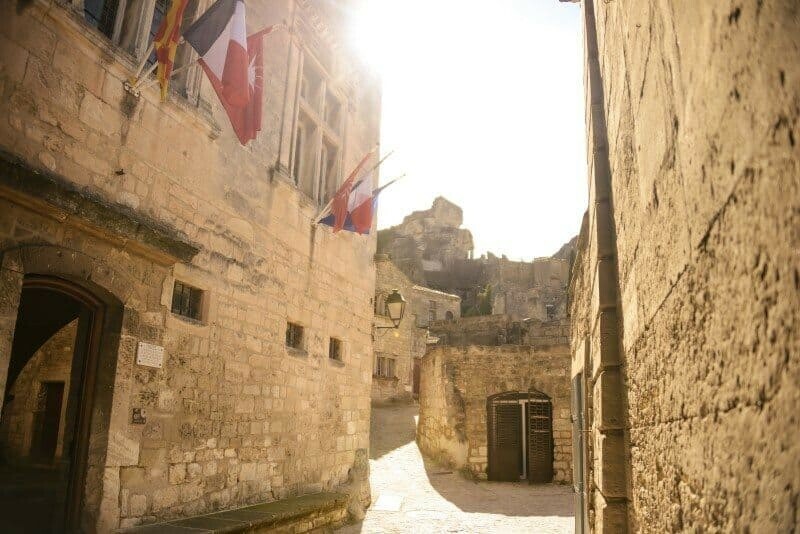 Where a warm breeze blends with the scent of freshly baked baguettes and fountains sprinkle chilled water over historic stone streets. Aix en Provence is the central hub and sparkling gem of the region. The old town is a maze of colourful alleys with the traditional orange and pink hues creating a myriad of photography opportunities. Sit and people watch on the Cours Mirabeau or wander vibrant fresh food markets in one of the many character filled squares around town. Best time for photos: Market mornings of Tuesday, Thursday or Saturday when you’ll find fresh produce, flowers and antiques to photograph alongside the colourful street scenes. Late evening can be beautiful too with dimly light streets offering a great chance for moody shots! 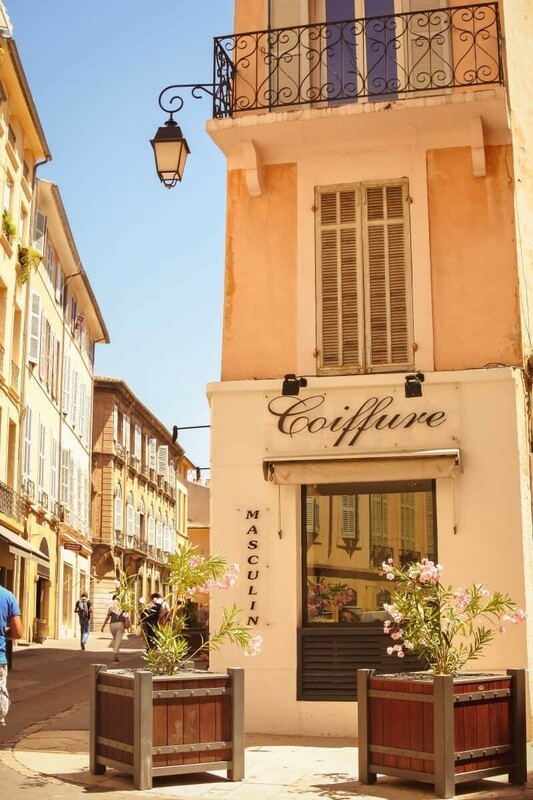 Best hotels in Aix en Provence – Click here for current discounts via Booking.com or scroll to the bottom of this guide for my personal recommendations. Cute, quaint and spectacular are all words that describe this medieval village tucked into the cliffs near Gorges du Verdon. You can climb a stone staircase used for pilgrimages since 470AD to Notre-Dame de Beauvoir chapel which sits high above the village and also makes for an incredible vantage point for photos over the rooftops. 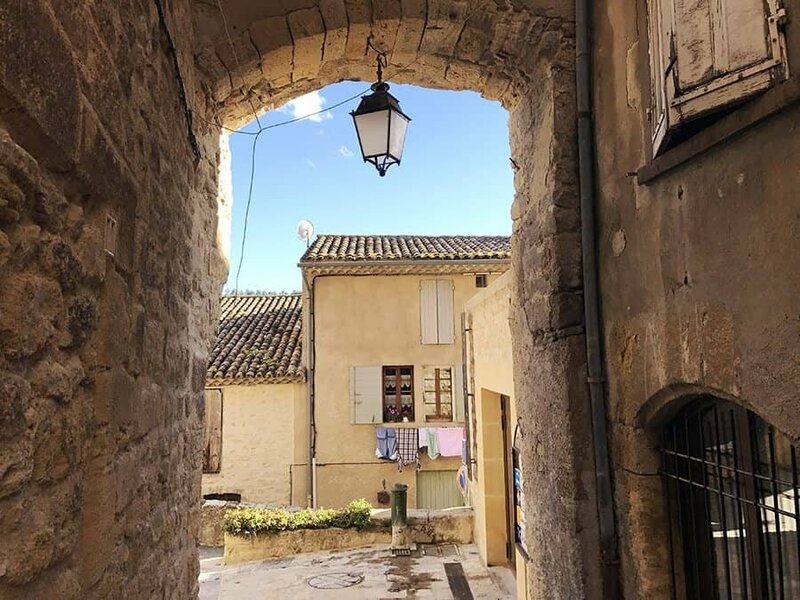 A waterfall runs through the center of the village further adding to the charm that exudes through the small streets where facades are decorated with vines, trinkets and colourful doors and window shutters. 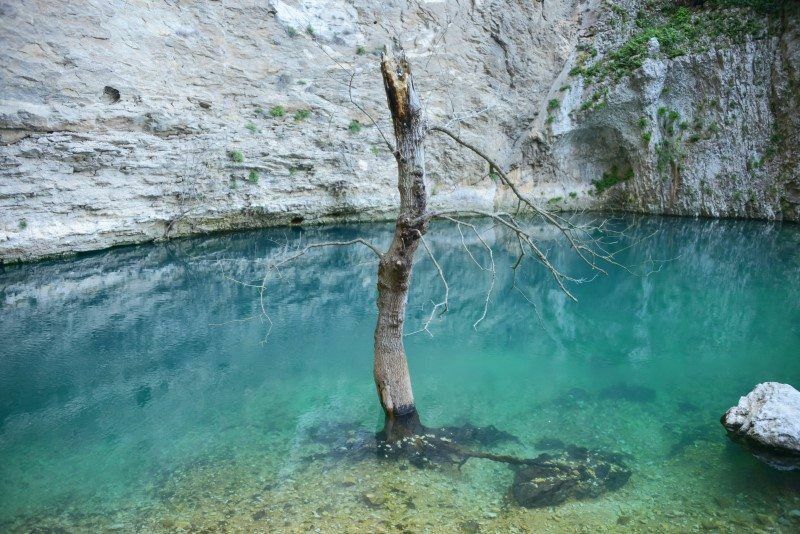 Best time for photos: If you’re doing a day trip to the area, spend your day down at Gorges du Verdon and Lac St Croix then head to Moustiers in the late afternoon to capture the light dipping over the mountains. 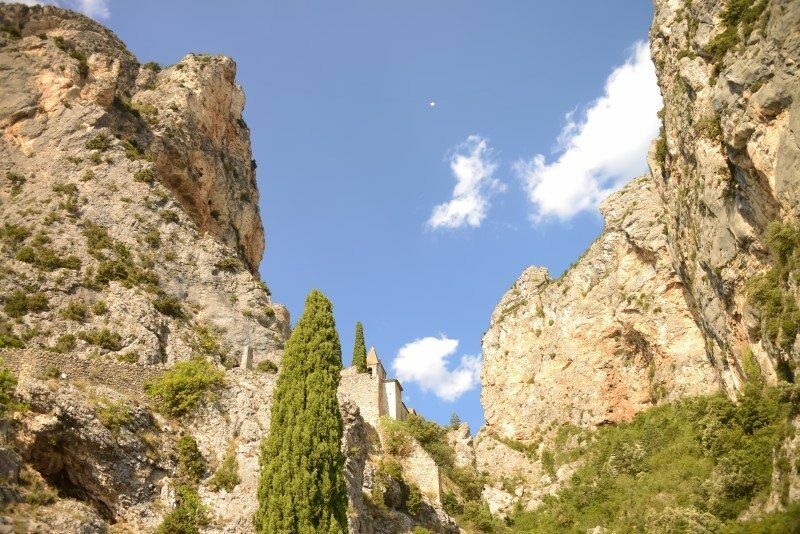 Moustiers is also just around the corner from the Grand Canyon of France the Gorges du Verdon. 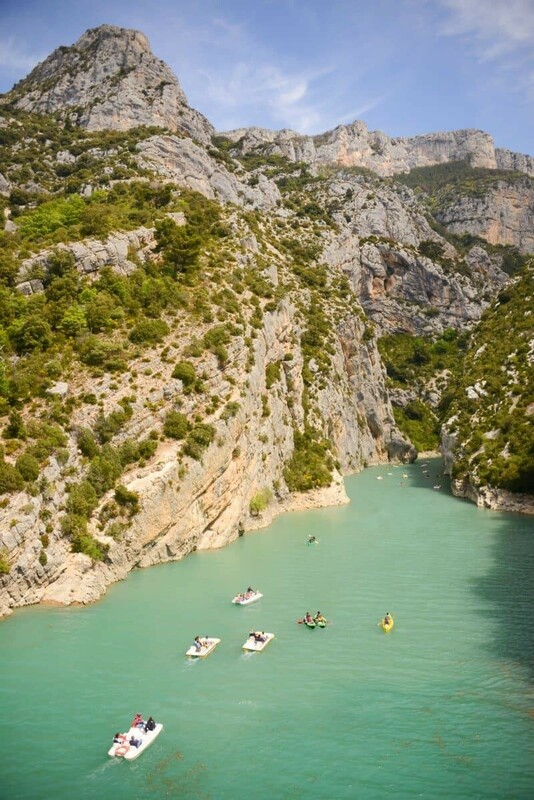 The Gorges du Verdon is a 25km stretch of the Verdon River that flows beneath giant cliffs and cascades. 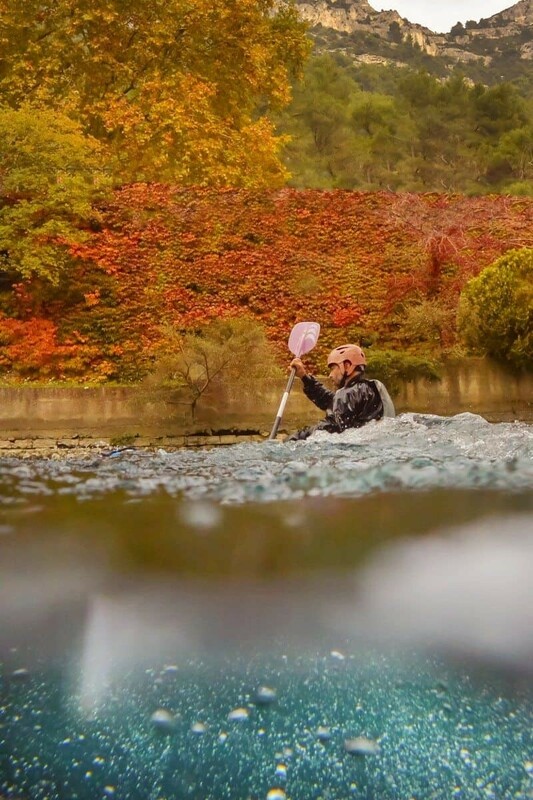 Read about my kayaking adventures here. Imagine a fairy-tale village with a water wheel spinning in an emerald green stream that flows from within a 230m high cliff. 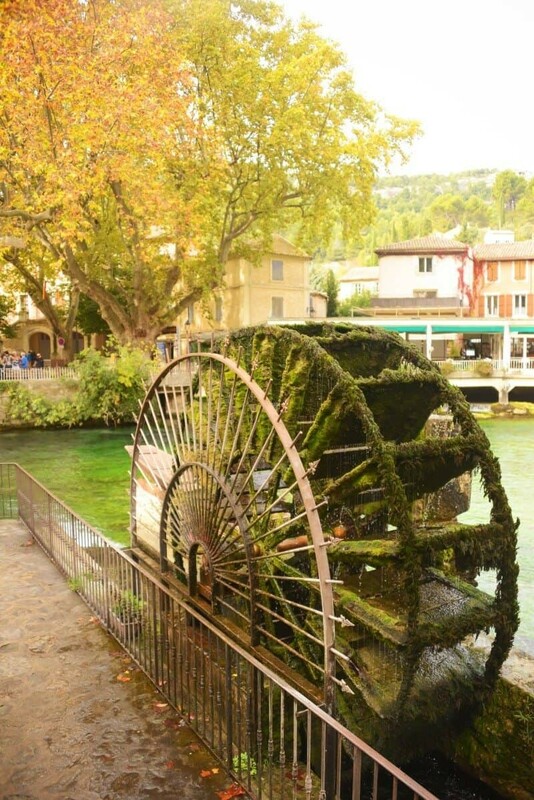 Fontaine de Vaucluse is charming from all angles. 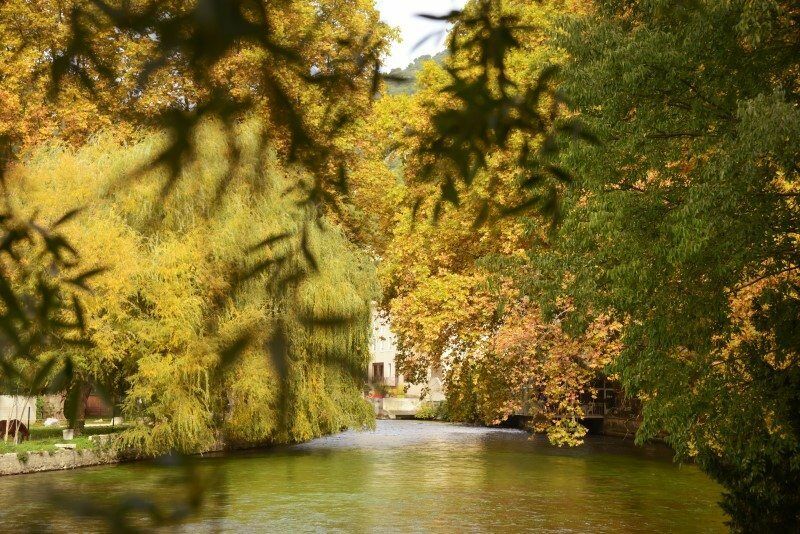 The village oozes character but what I found most impressive is the path along the river banks of River Sorgue leading to the base of the cliff. 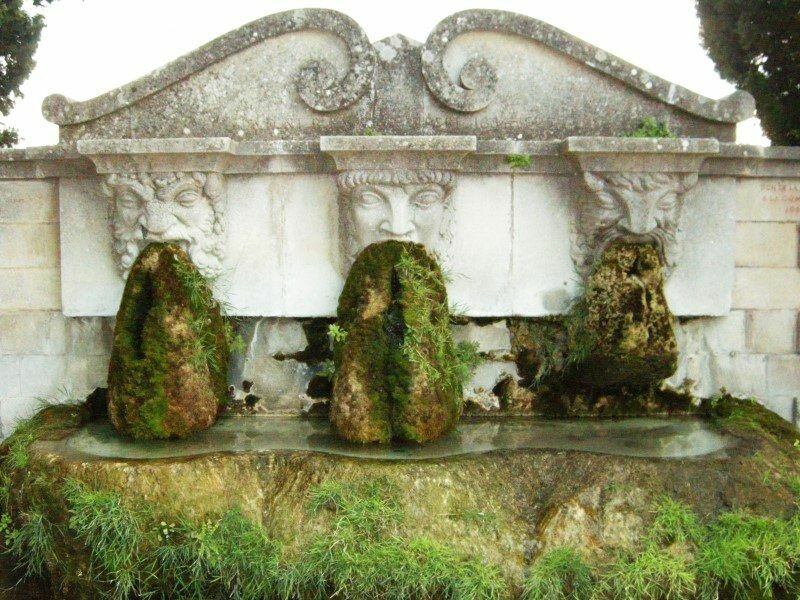 The spring is the most powerful in France and varies in depth as the seasons change. 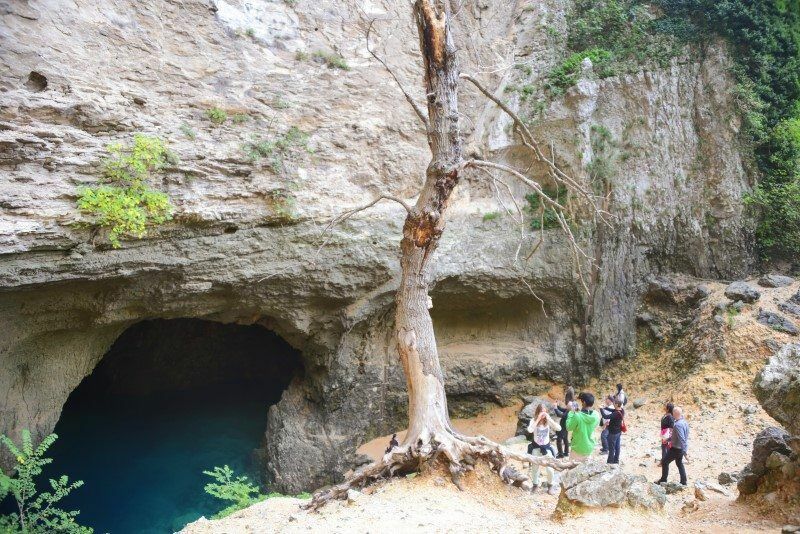 In winter and mid-summer you can walk 30 or so metres deep down into the cave but as the weather changes in spring and autumn the water level rises and creates a lovely pool and raging torrent, an incredible sight to see the dramatic difference. See below for an example of the same tree in different seasons! Best time for photos: Late afternoon to have enough shade for blurring the little cascades or in the middle of the day to ensure there’s enough light inside the cave. 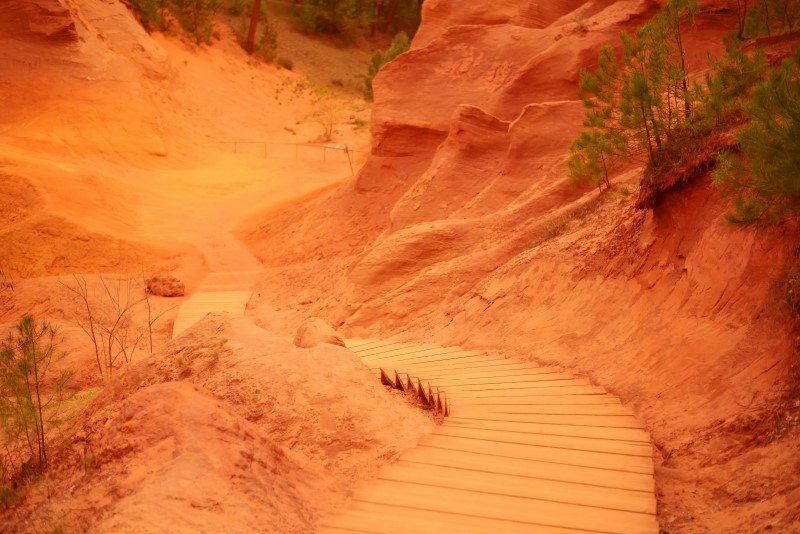 Nature puts on a little show in Roussillon with red cliffs and ochre quarries creating a rainbow of rouge throughout the forests and village itself. Ochre fibres are used in the houses creating streets filled of character and colours. 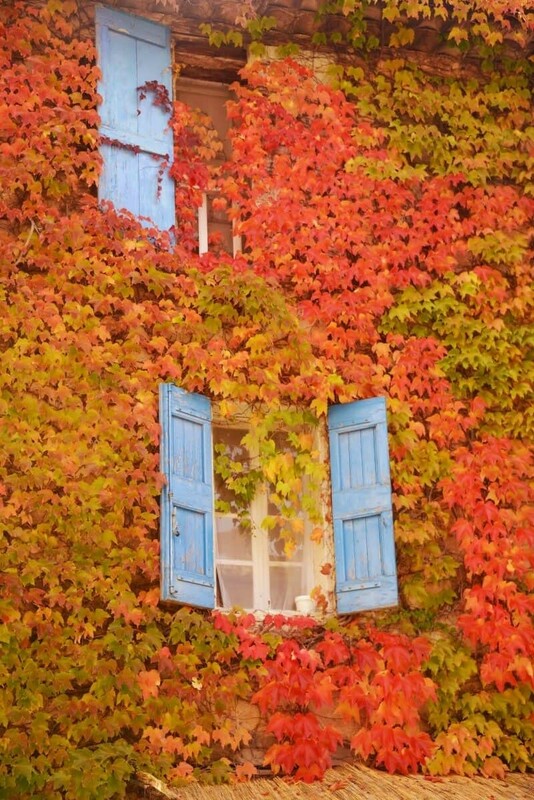 Think red facades with bright blue window shutters…get your camera ready! 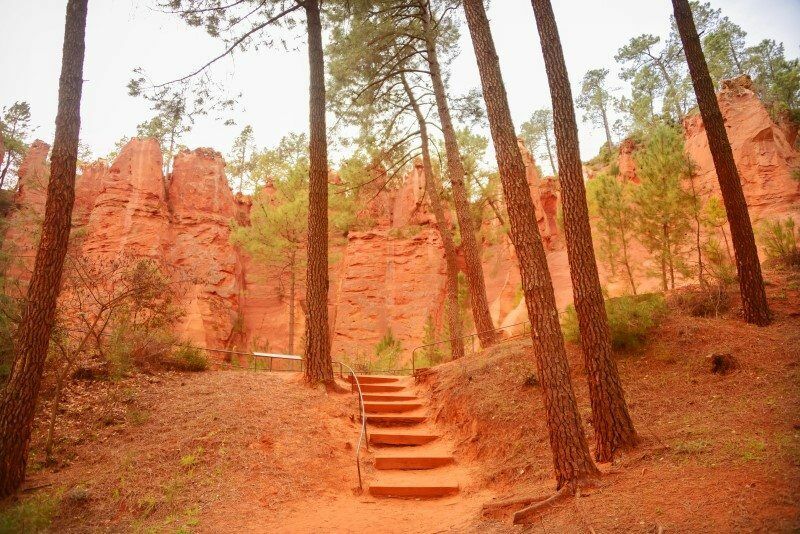 You can easily wander from the village into the Sentier des Ocres two paths meander through the forest and a landscape of red and yellow pigmented cliffs. Best time for photos: As the sun sets over the village it’s pretty special to see a red sunset sky over a red village. To capture the full colour scheme of the village and surrounding forest though it’s great to shoot during the daylight so the colours are shining bright. 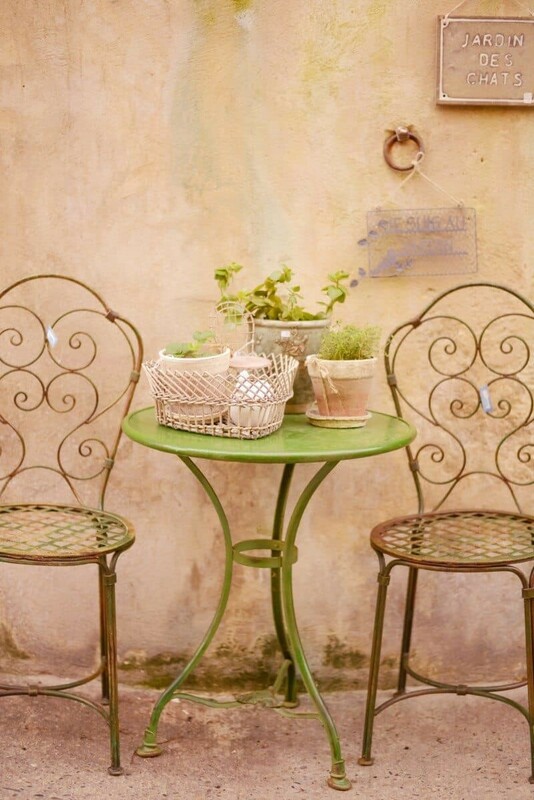 Famous for it’s Brocante, L’isle-sur-la-Sorgue is one of Europe’s main hubs of antiques with a number of lush garden courtyards filled with treasures from the past. It’s like walking through a pretty outdoor museum blended with canals and colourful facades winding through the town’s old centre. If you’re in town on a Sunday I highly recommend visiting the morning food markets then staying until the afternoon for the antique markets that line the canals! Be sure to stop in at the Collégiale Notre Dame des Anges cathedral where light shines through the ceiling revealing the interior detailing. 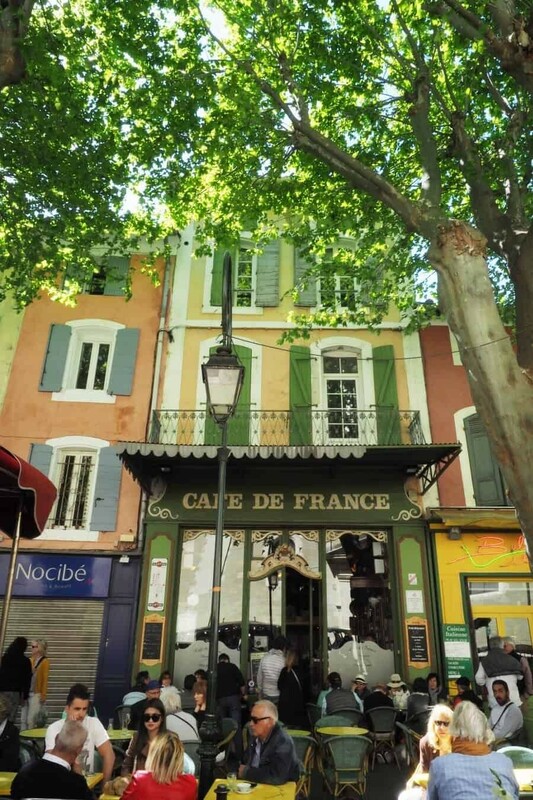 Also in the square beside the cathedral you’ll find the photogenic Cafe de France. Best time for photos: Personally I think it’s good to visit on Sunday for the markets because there’s so much happening and so many colours to capture! 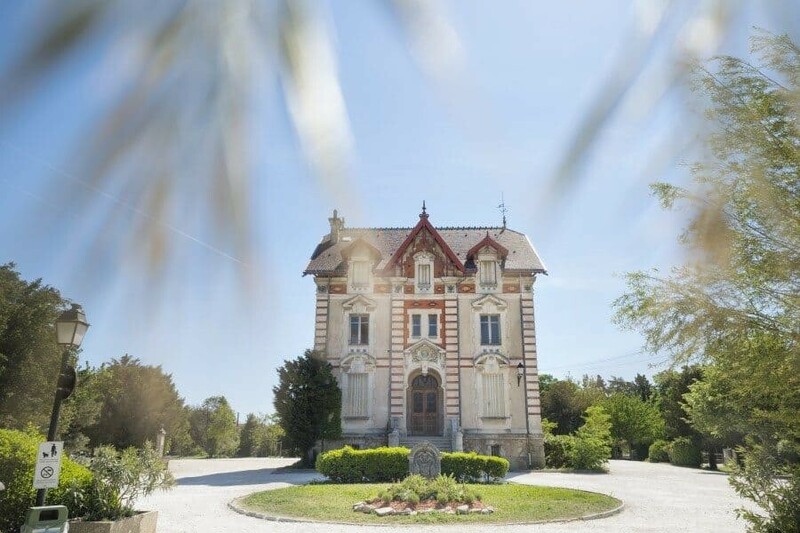 Wander through town then cross the canal and hit the outdoor antique markets filled with gems from the past and Parc Municipal Gautier. 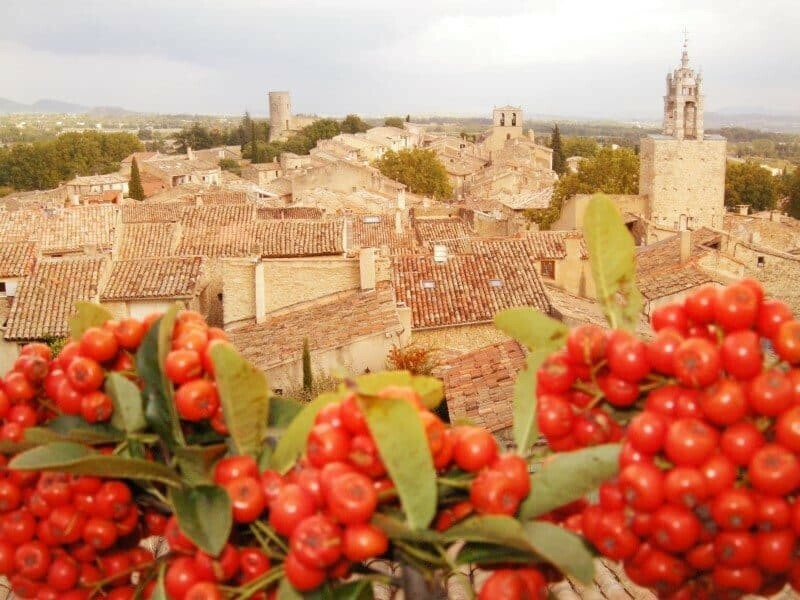 Exclusive and pretty, Gordes is known as the golden girl of Provence with stone buildings cascading down the hill side on the rock in which the village is perched. At the very top you’ll find the cathedral and below winds tiny cobbled streets with something enchanting around every corner. 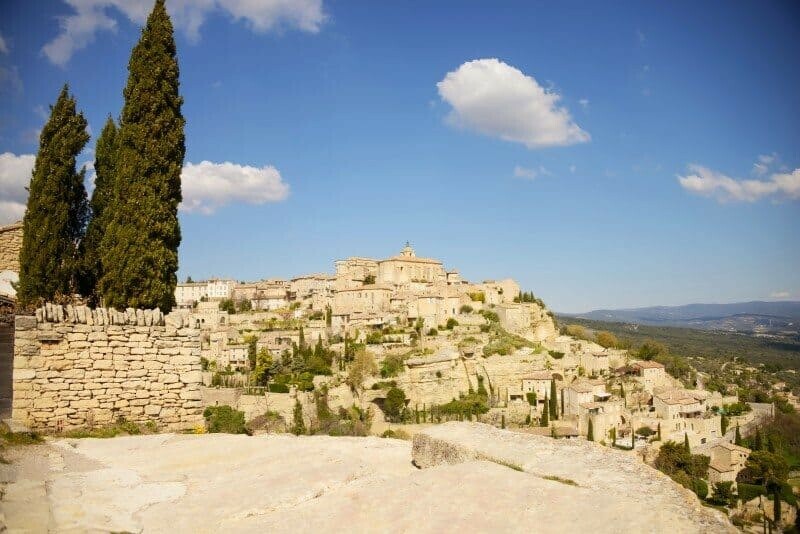 For a great view of Gordes stop on the Route de Cavaillon where rocks jut out offering the perfect vantage point for photos of the entire village. Best time for photos: Wander through the stone alleyways in the warm afternoon light then head over to the vantage point to watch the sun set over the village and fields. 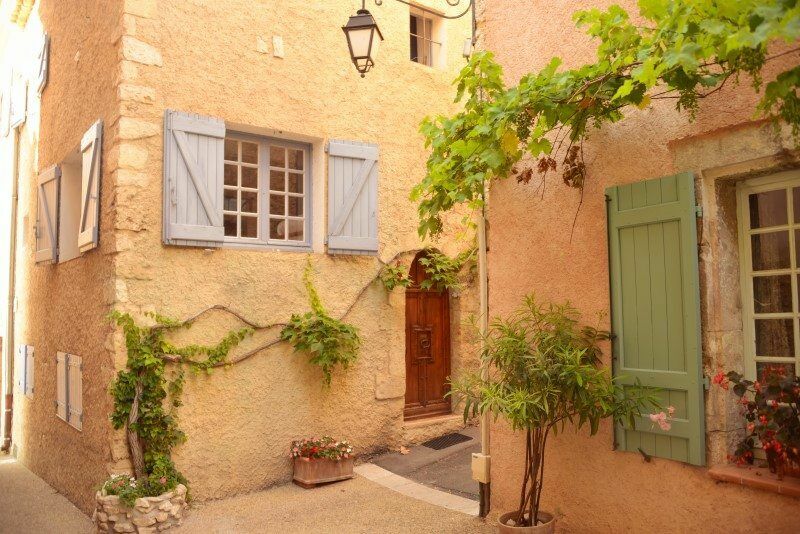 Pretty as a picture, Lacoste provides the quintessential Provence village without the crowds. Château de Sade overlooks the village and surrounding Luberon landscapes with streets and buildings paved in calade stone creating a unique scene unlike any other village in Provence. Be sure to stop by here for some photos, if only for 20minutes it’s worth the detour! 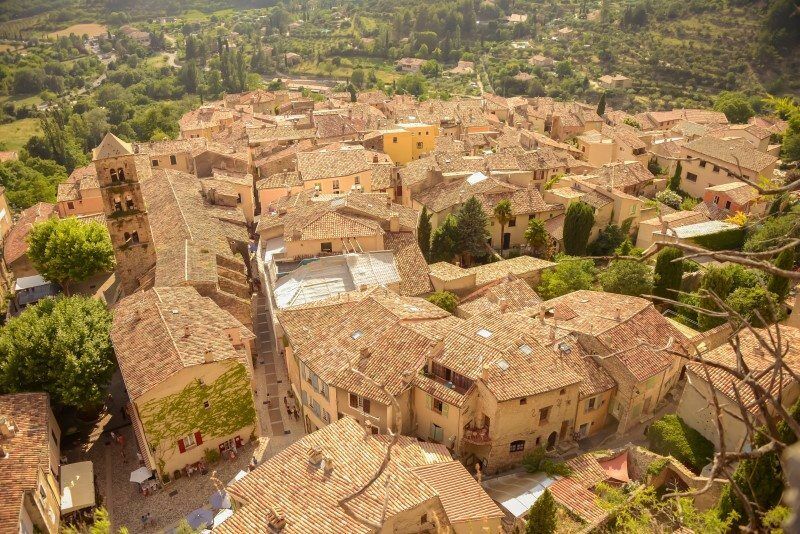 Best time for photos: Any time of day this gorgeous village is photogenic but as with most villages in Provence, the warm afternoon glow is ideal. 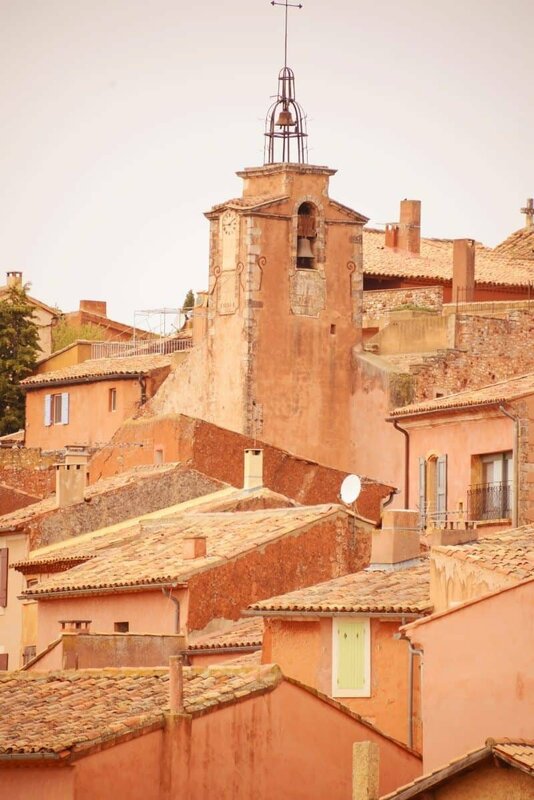 With the church tower dominating the skyline, Bonnieux is hard to miss when you’re taking the road between Lourmarin and Roussillon. 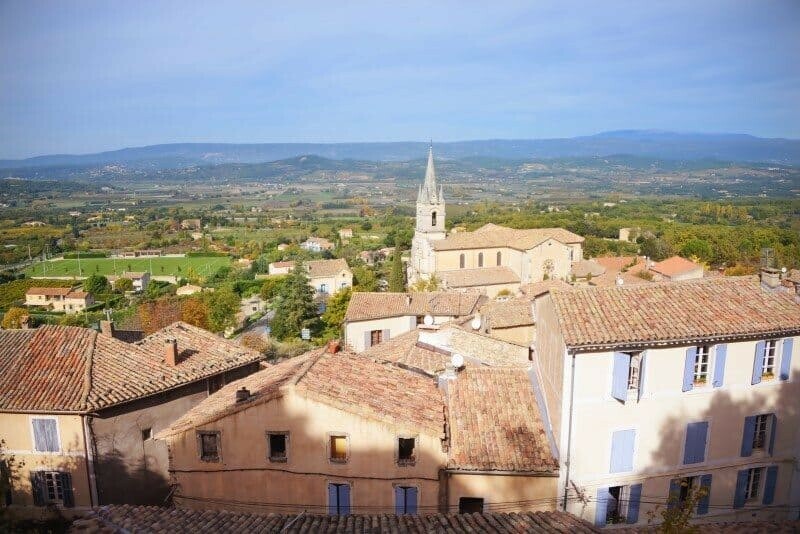 Overlooking fields and the Luberon mountain ranges, this village offers landscape photography opportunities along with the typical village scenes of Provence. Keep an eye out for the small lanes around the church and also if you’re visiting in Autumn, a lot of the houses some dating back to the 16th century are covered in brightly coloured autumn leaves that contrast beautifully with their blue window shutters. 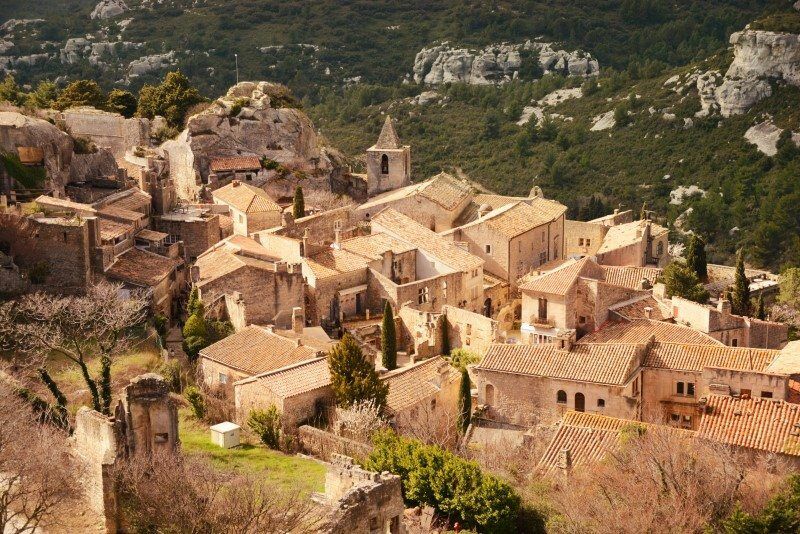 This was the first village I ever visited in Provence (outside of Aix en Provence) and I still believe it’s one of the most beautiful. 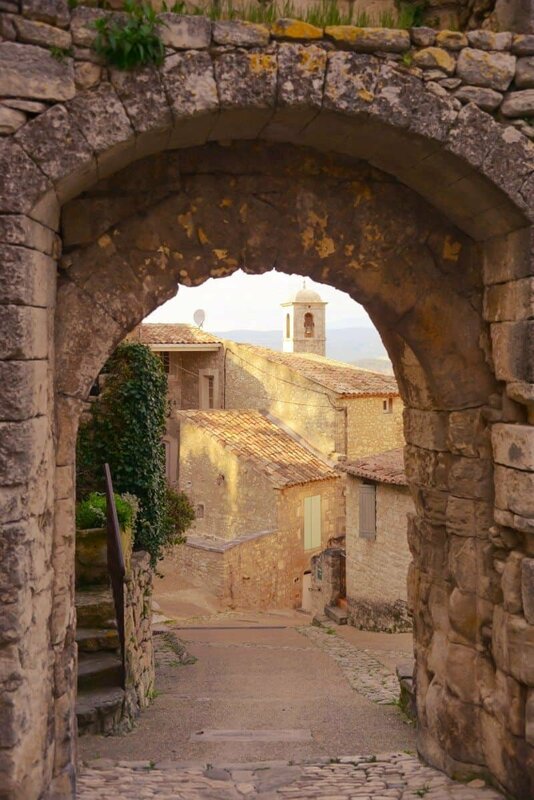 A medieval castle from the 12th century sits on top of the hill whilst the streets are filled with artists’ workshops, vine covered stone houses and an air of country living. Surrounded by farmland, Cucuron is vibrant throughout the year and has a lovely community atmosphere. 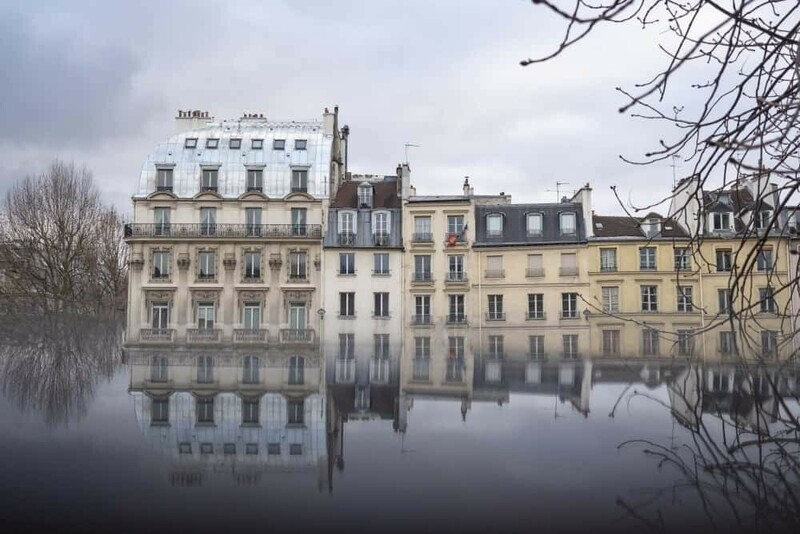 At the centre of the town you’ll find a huge pool (bassin) where tall trees reflect into the still water creating a fabulous photo opportunity with the coloured houses and cafes lining the waters edge. 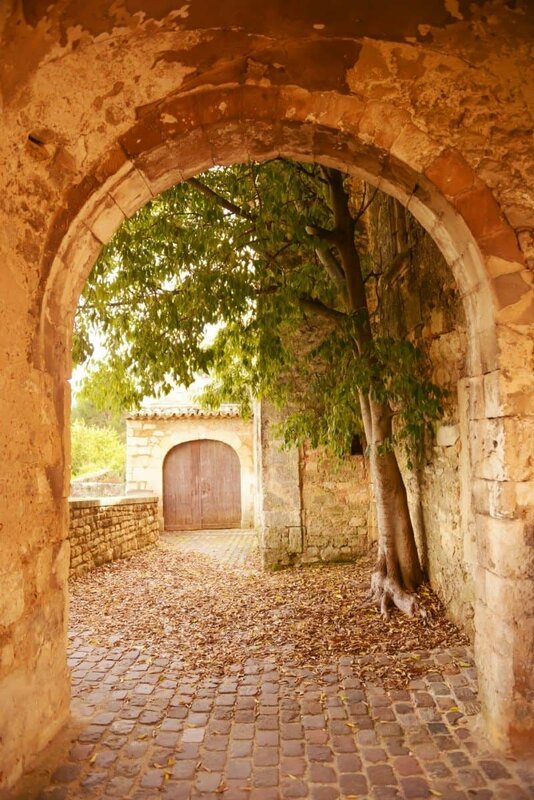 Wander through the streets where you’ll see cats sleeping on window sills, wheelbarrows filled with flowers and at the top of the village is the dungeon of Saint-Michel, the only remaining part of what once was a castle. Great views overlooking the terracotta rooftops below. 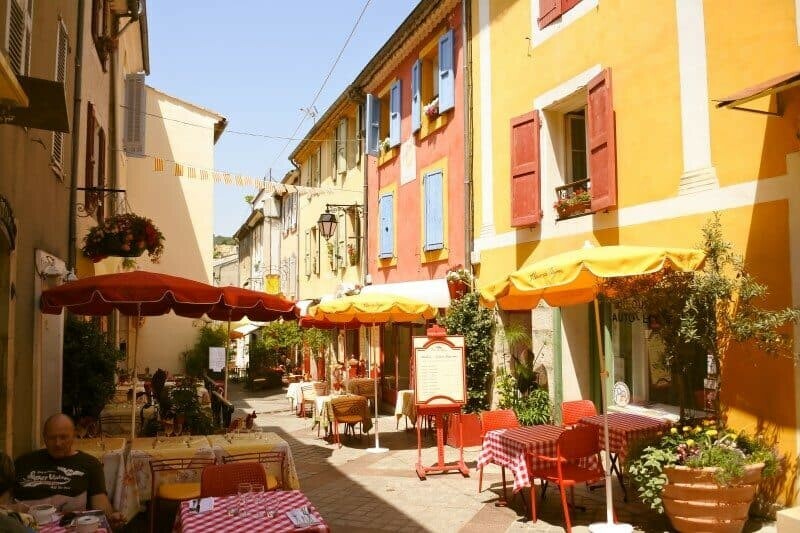 Stylish and classy, Lourmarin is filled with gourmet eateries and boutiques. 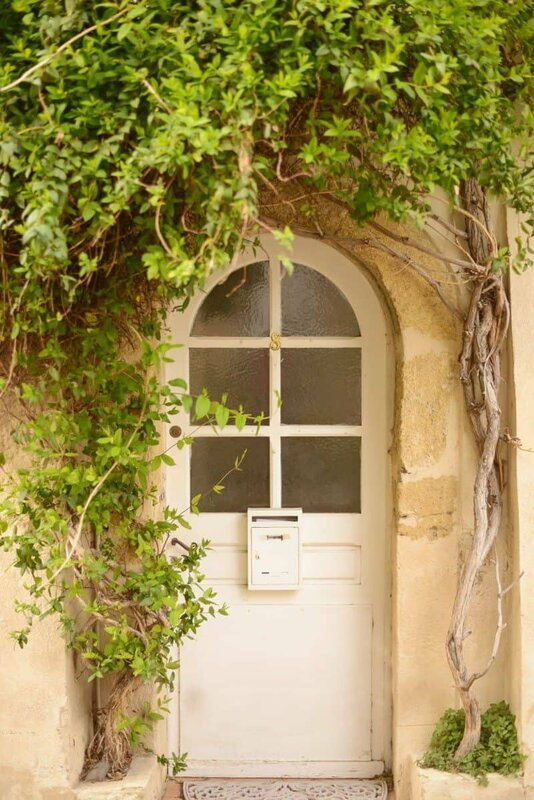 Its streets are well kept and super cute with doorways creating the perfect photo opportunities to capture Provence life at its most beautiful. Around the town you’ll find vineyards and a 15th century castle that sits beside the local soccer field. Sitting pretty overlooking the vast aqua blues of Lac Saint-Croix, this village is a must visit in Provence. 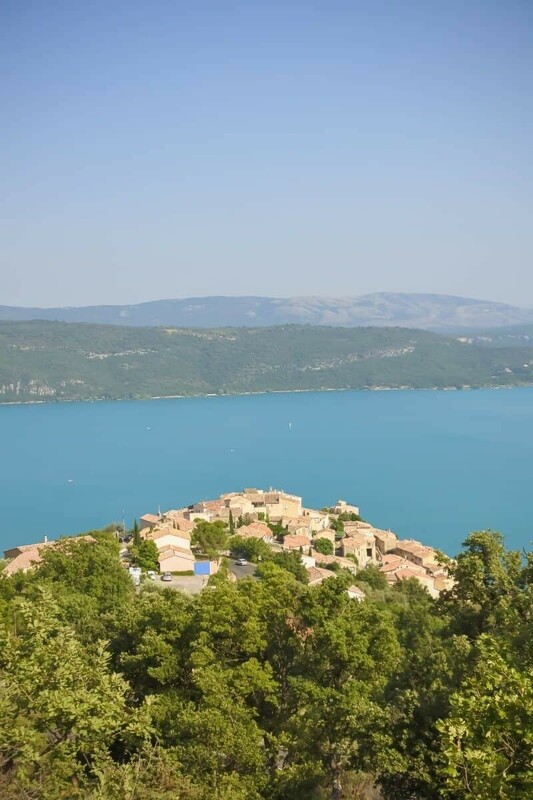 Popular in summer, Sainte-Croix-du-Verdon is best viewed from above at the top of the road that winds down the hillside toward the lake. Or if you decide to take a paddle boat or kayak out on the water, it looks just as beautiful from below. There’s plenty of cafes open that offer panoramic terraces! Best time for photos: You’ll find the village is shaded in the late afternoon because the sun dips behind the surrounding mountains. Sunrise is a beautiful time of day here but throughout the day you’ll be able to capture the bright colours of the village and lake. 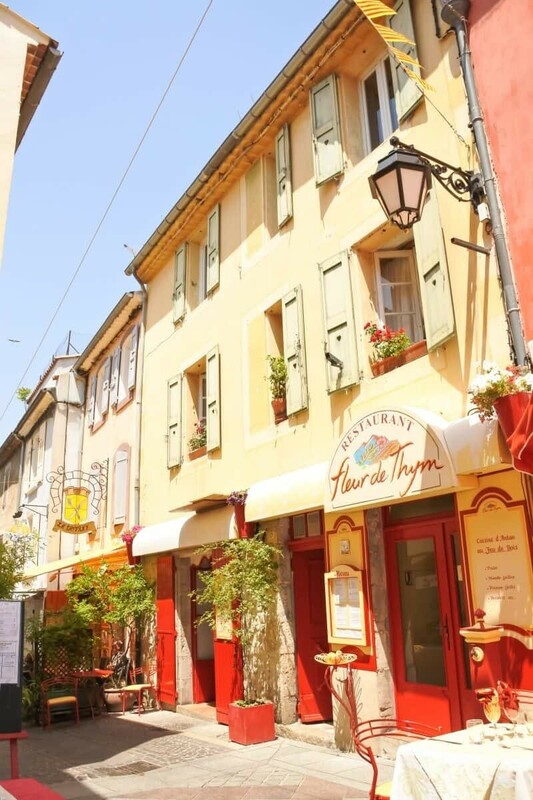 Head for the centre of the village and you’ll find Rue Grande, a brightly coloured rainbow street of stores and restaurants selling local goods and offering a vibrant outdoor atmosphere in summer. Traditional colours are found around the outside edges of the village but the interior is bold reds and yellows. 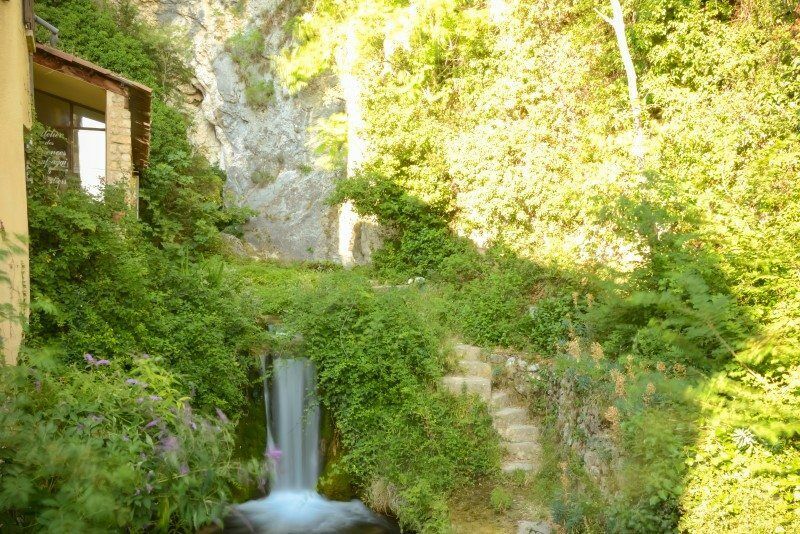 Gréoux-les-Bains is also known for it’s pure thermal water you can visit thermal caves or the castle of the Templars which rests above the village. The Plateau de Valensole is home to endless rows of purple lavender in the summer months. 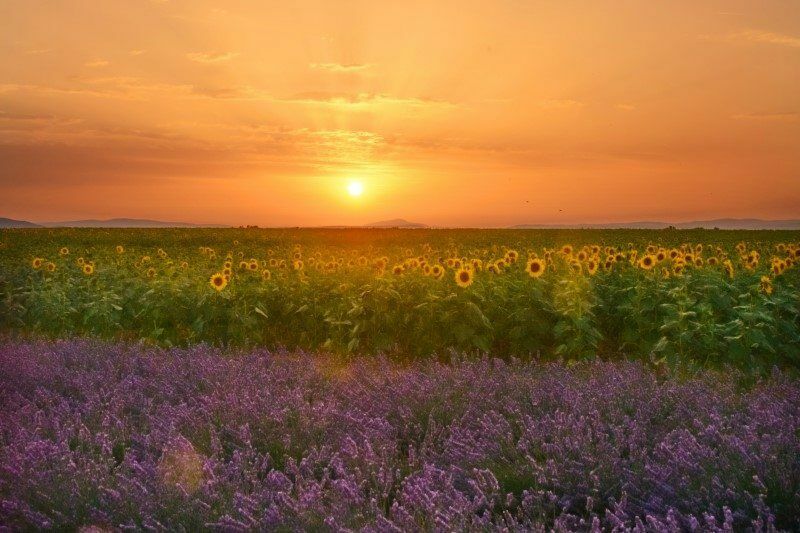 You’ll find a myriad of locations to shoot the iconic Provencial lavender images with stone farm cottages, sunflowers and the setting sky to use in your composition. 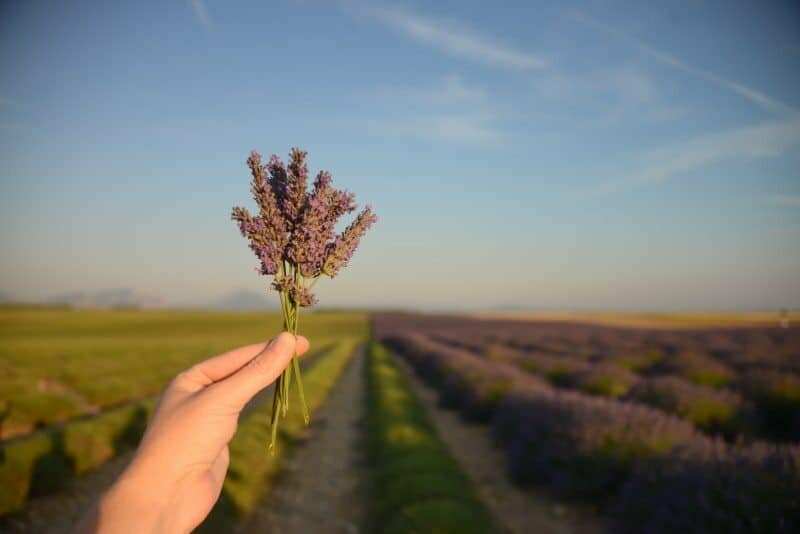 For a complete guide to the best lavender fields and photography locations around Valensole, take a peek at my complete guide to ‘Photographing the Lavender Fields of Provence’ for a map and more details. Also for a more detailed guide to Valensole, you can purchase my eBOOK ‘A Photographer’s Guide to Provence, France’ which features an itinerary for touring Valensole in summer! 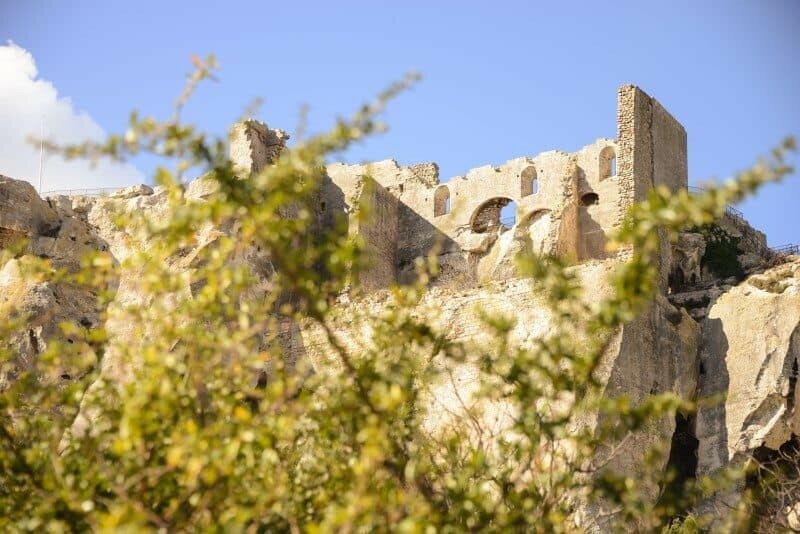 Heritage listed, Les Baux is historically intriguing with castle ruins located on a rocky plateau resting high above the olive plantations below. The castle is a reminder of the village’s medieval history with the restored sections offering an incredible insight and stone steps up to the castle walls showcasing significant wear from use over thousands of years. 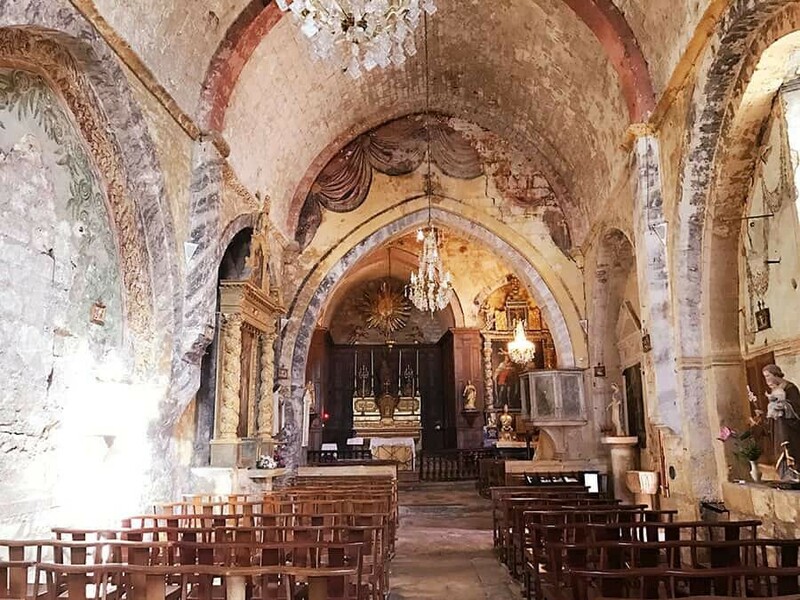 The village is now quite tourist friendly however there are still a number of quaint alleys and the Romanesque and Renaissance Church of Saint Vincent. From the top of the plateau you can see all the way to Arles and the Camargue! Also just across the road you’ll find Carrières de Lumières, a spectacular art gallery carved into the rock which projects it’s exhibitions onto the stone. 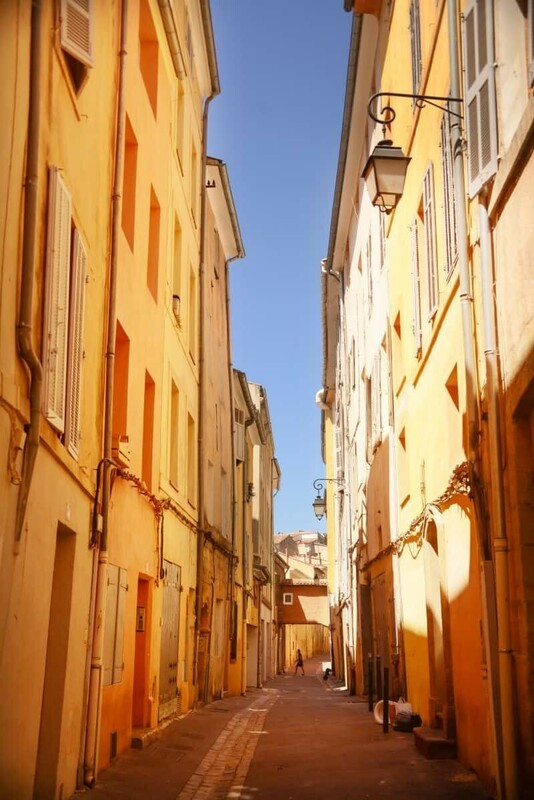 Aix is in my opinion the best base for exploring Provence. 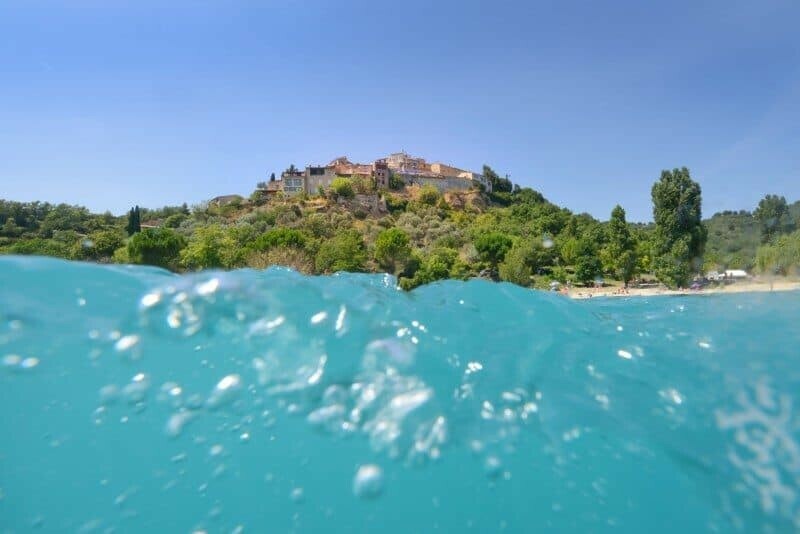 From here you can drive to the lavender fields of the Plateau de Valensole, the Mediterranean coastline of Cassis, La Ciotat or Saint-Tropez in just over an hour or visit the many Luberon villages within an hour. 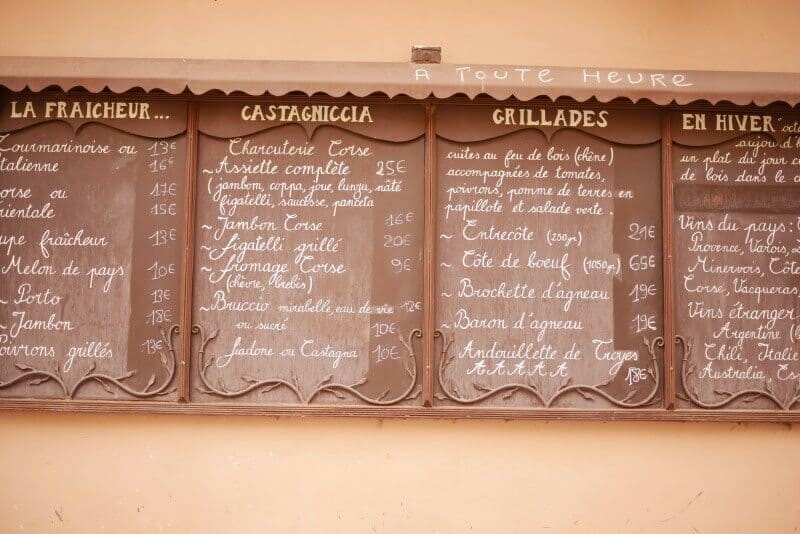 In Aix you can enjoy the morning markets before setting off for a day trip elsewhere. There’s a number of hotels, villas and apartments to choose between, it all of course depends on budget and preference. If you’re hiring a car in Aix-en-Provence just be sure to check that the hotel has parking available as there’s minimal on-street parking due to the narrow alleys. 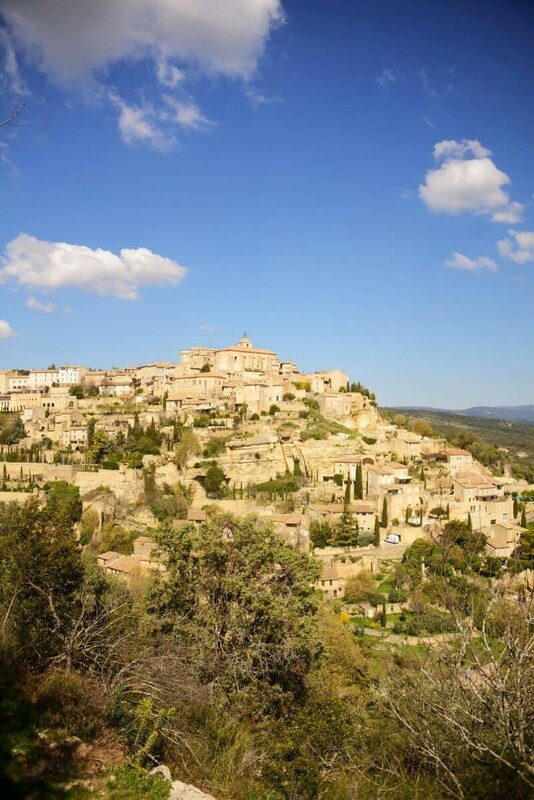 The classic beauty of Provence, Gordes is surrounded by luxurious villas and sprawling spa hotels. 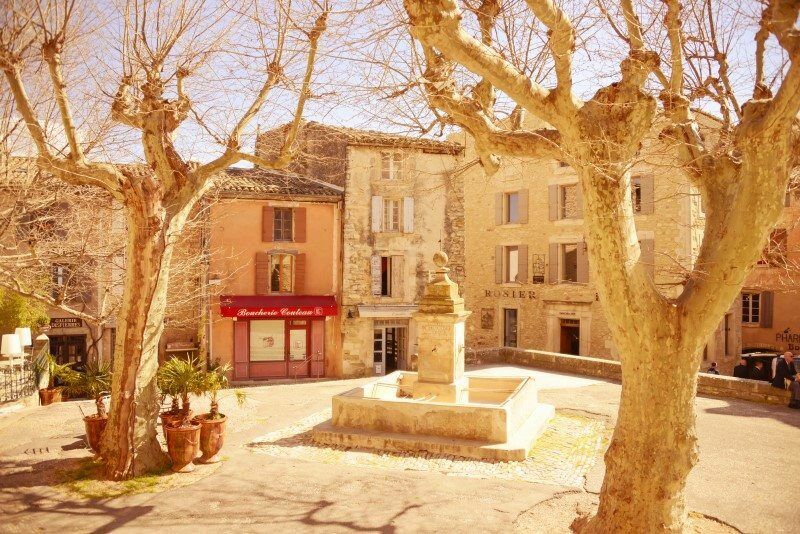 It’s where to base yourself or spend a few nights if you’re looking to relax, soak up the sunshine and explore some of the villages and landscapes of the Luberon. 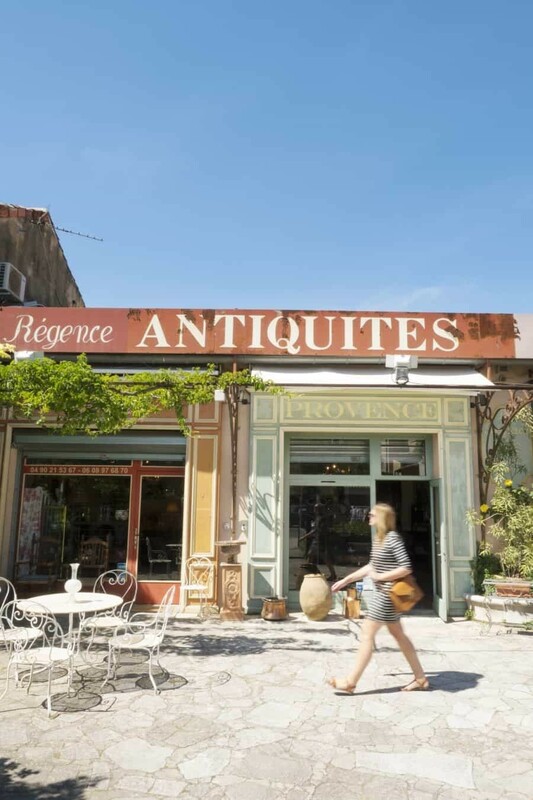 From here you’re close to Roussillon, Bonnieux, Menerbes, Avignon and if you’re in town on Sunday, the antique markets of L’isle-sur-la-sorgue are just a few minutes down the road. If you’re visiting in summer, the Plateau de Valensole is for the lavender lovers and keen outdoor explorers. With the lavender fields surrounding many of the villages on the plateau, the stunning scenery of Gorges du Verdon just minutes away and endless hiking trails nearby, it’s a great base for adventure. 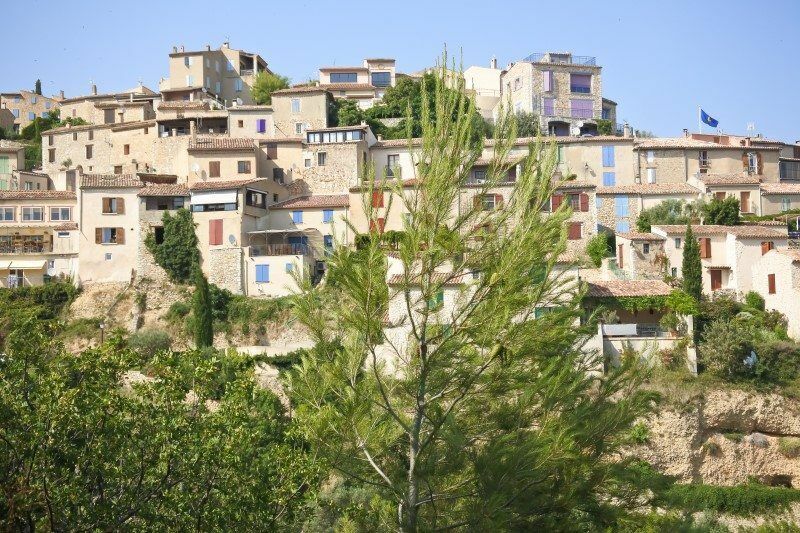 I’d recommend staying in the village of Riez, Sainte-Croix-du-Verdon or Moustiers-Sainte-Marie. 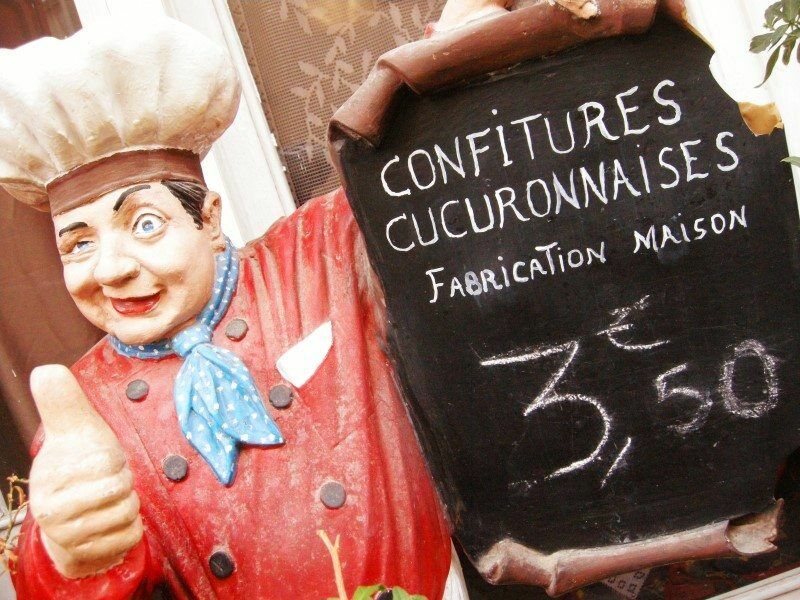 For history buffs and city scenes, Avignon is a great base in Provence. On the shores of the Rhone, from Avignon you can venture into the Luberon, west towards Le Pont du Gard or south to Les Baux-de-Provence. 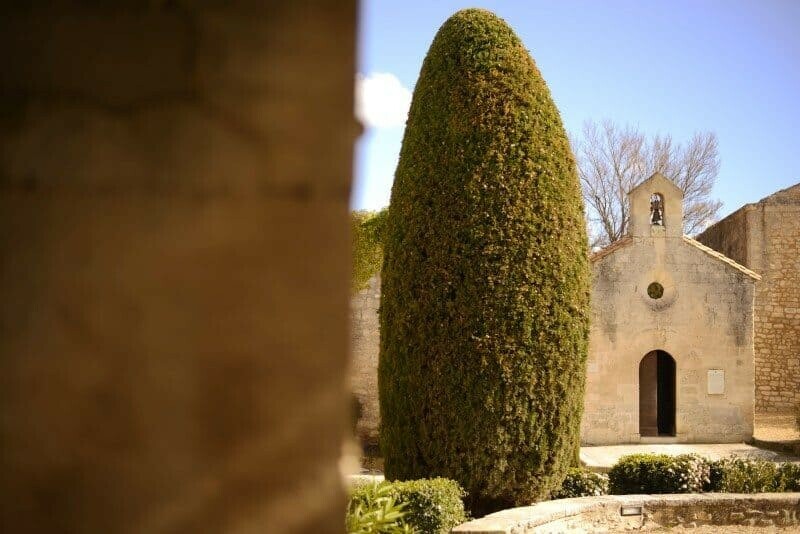 If you’re opting to stay in Avignon, it’s worth leaving yourself at least a day or two to explore Avignon itself and the Palais des Papes especially! 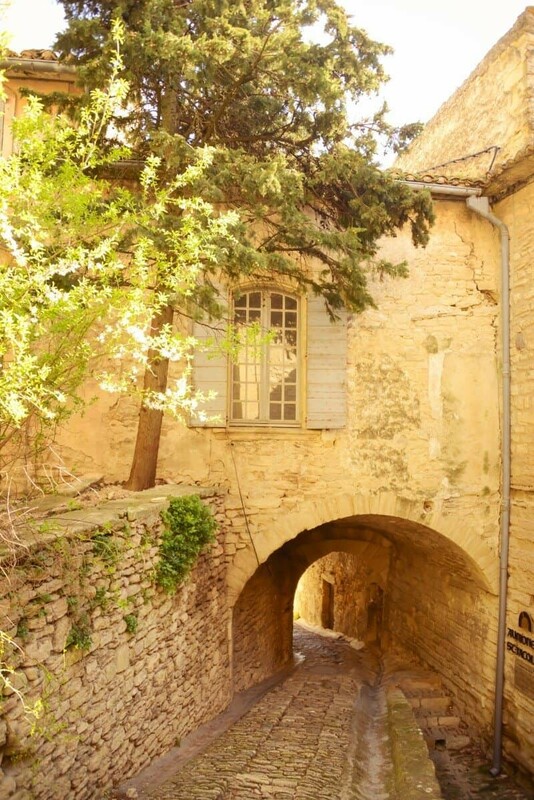 Want to read more about places to visit in Provence, France? When to Photograph the Landscapes of Provence – a guide of the best seasons for lavender, poppies and more! Email hello@thewanderinglens.com for more information on tours and workshops in the Provence and Côte d’Azur, including underwater photography in the calanques! I just stumbled on your blog and I LOVE that you poseted the best times to take photographs. Truly valuable tips there. Oh, and obviously, your photography is amazing! Great to hear Alaina! Thanks for the kind words 🙂 Where are you travelling next? I went to Provence a couple of months ago and it was just stunning! I didn’t make it to any lavender fields but you captured them so beautifully!! Thanks Sophie! 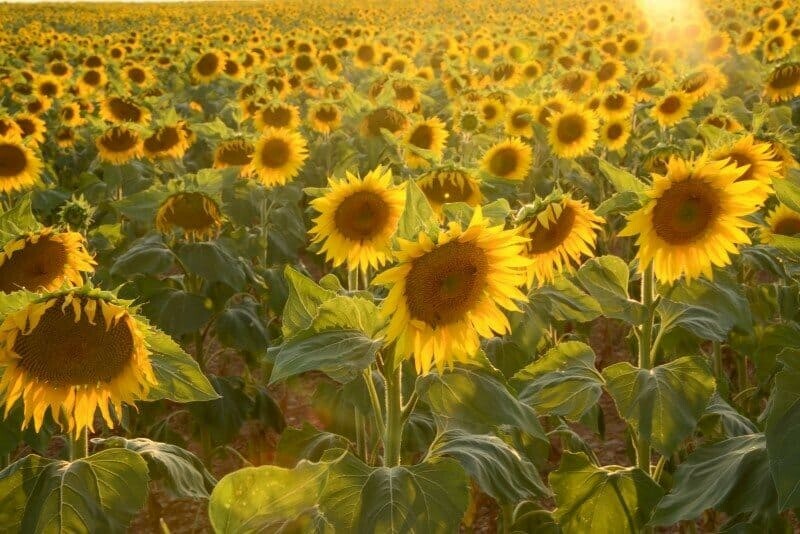 Isn’t Provence beautiful! Where did you visit? I am planning a trip to Provence for this summer. My wife has always wanted to see the lavendar fields and country side. Your website is so helpful. We will be traveling with a 9 month old so hopefully we can stay out late enough to photograph some of these sunsets! Lovely photos, brought back memories ! I love your tips about the best times to take photographs 🙂 My 3 favourite places are the Plateau de Valensole, Cucuron and Gordes. Thank you for sharing. This blogpost is amazing! When I thought of Provence I would only picture the lavender fields. But with your post, I see that there is so much beauty in it to explore. I particularly loved Roussollin and Cucuron. Absolutely, I’ve been living here for two years and am still yet to see half of the villages and beautiful spots! This is the first time I’ve seen your photos and I absolutely love your style. 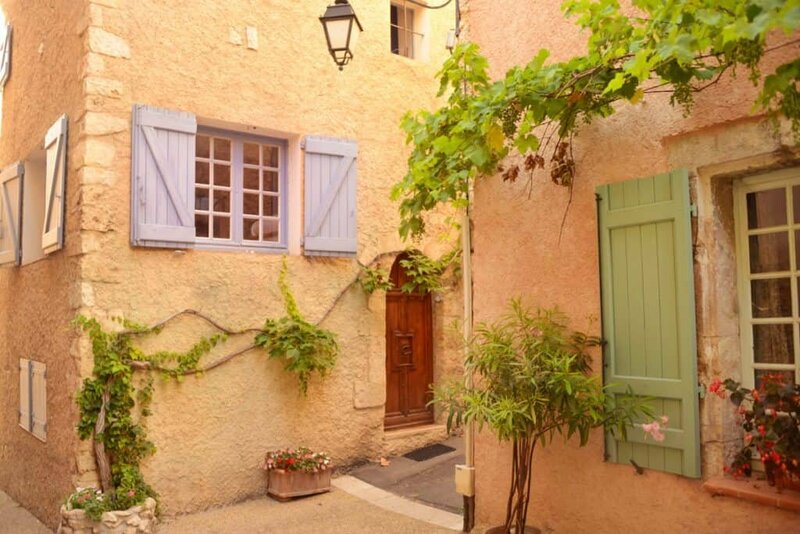 You’ve given a warm, dreamlike quality to Provence! This is the second time I’ve seen a recommendation for Gorges du Verdon this year. I hadn’t heard of it before but now I’m interested…perhaps this will be one of my future Europe road trips. These are gorgeous, you should compile them into a coffee table book! Exactly what I would picture the south of France to look like! 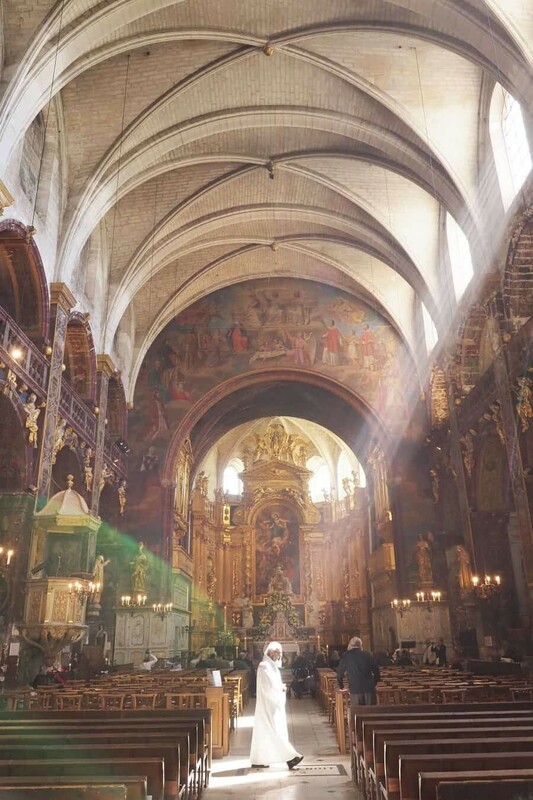 Your pictures are absolutely beautiful – particularly the one in the church! Just stunning. 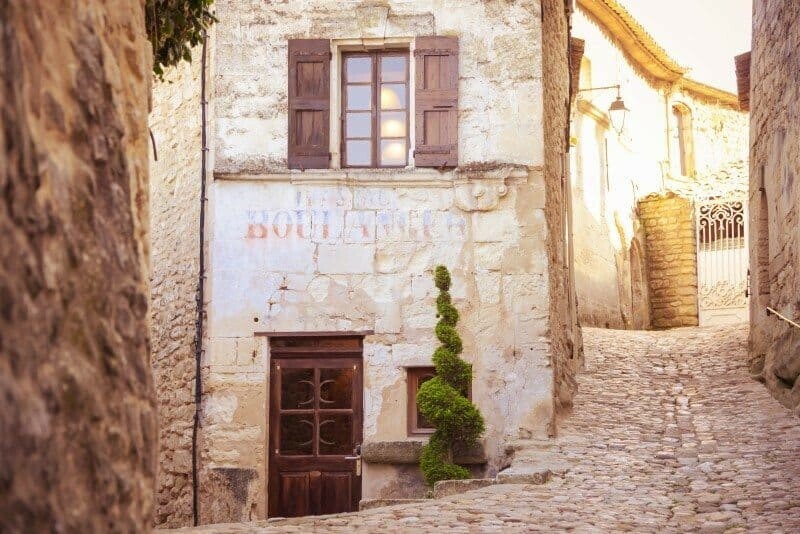 Provence will be top of my list next time I’m in France! Thanks so much Lucy! 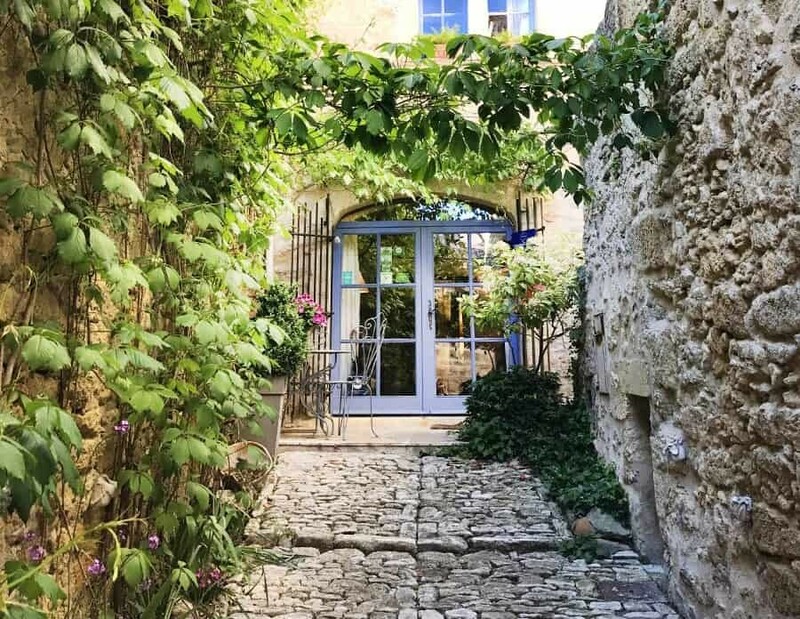 It’s definitely worth adding Provence to your wish list when visiting France, a lot of people skip it in preference for Paris and Nice/Monaco but it’s so stunning here! Your photos are incredible and are so dreamy! I absolutely loved reading about all the different towns that aren’t typical tourist destinations. Kayaking in Moustiers St Marie looks beautiful! Absolutely stunning photography! You’ve made us SO excited for our trip! Thank you for sharing all these helpful tips. Oh wow Christina, you must have seen quite a lot of France working on a river cruise! Provence is definitely worth visiting if you can, the lavender fields are stunning but there’s so much else to see too! 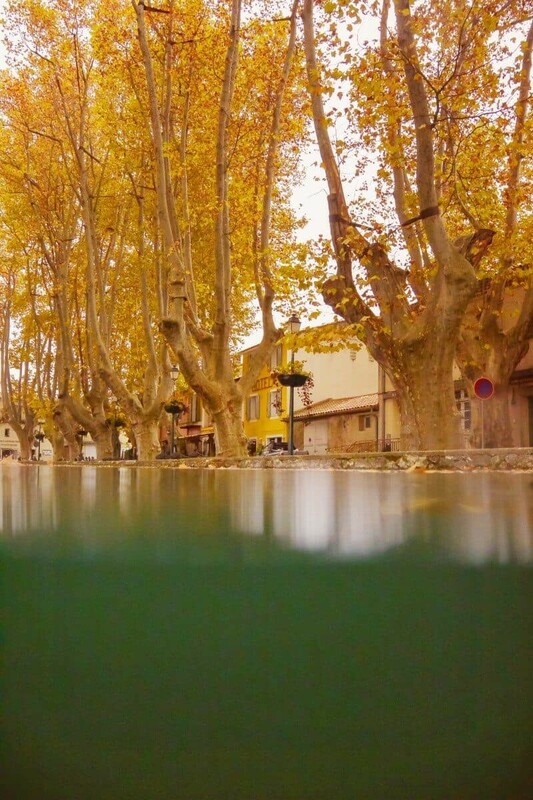 What stunning & well composed photos of a magical region in the south of France! While i was only in Monaco, i sure have to visit this area and truly take all the beauty in & capture it of course! Merci Karla! Great to hear you visited Monaco though, it’s one of my favourite places close to this region! Provence definitely has a special feel to it, so warm and historic! Thanks for this! I’m going to Marseille in December and will be there for 5 days. This is such a good guide!! Your pictures are amazing- very inspiring! Thi is so amazing! thank you! I am a photographer, I can’t wait to be there.